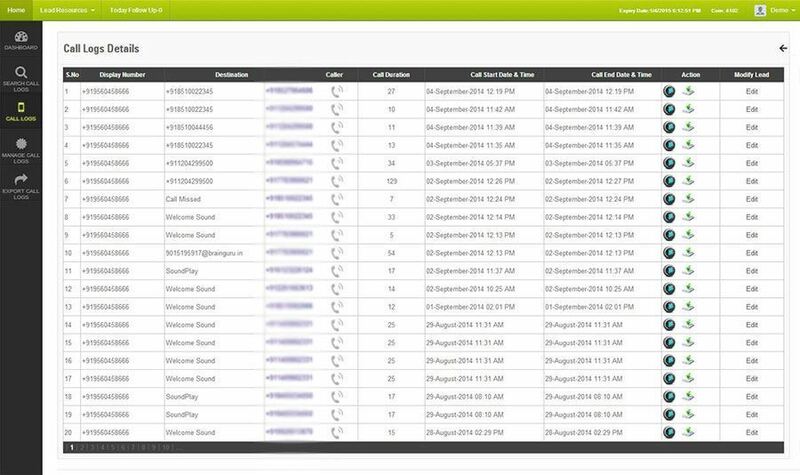 Why is Lead Management Software/Sales Tracking Software is necessary for my small business CRM implementation? All businesses retains an end customer of some sort or another. Be it a business to business (B2B) or business to consumer (B2C) operation, there is always a customer buying us using services at the end of the day. Managing your sales prospects, or leads, is one of the most essential aspect of your small business's day to day functions. Each lead produced, via any means, requires to be properly processed in an organized manner to make sure that you maximum profit on your return on investment from your marketing and lead generation campaigns. 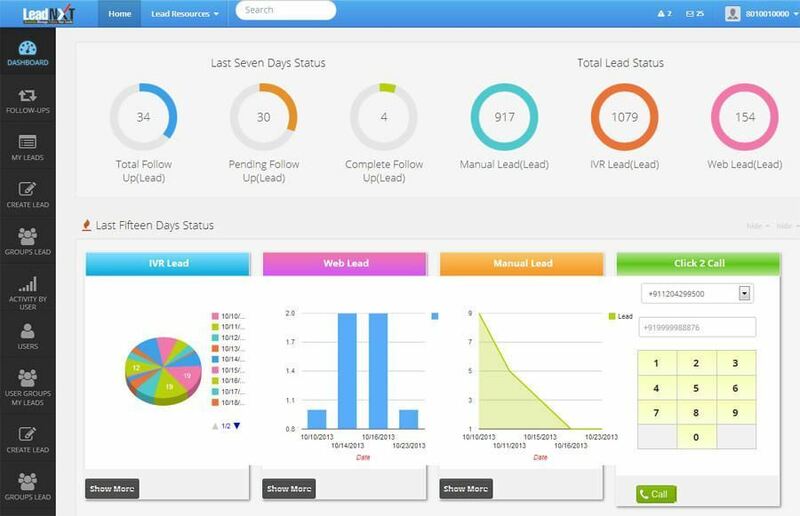 By making use of LeadNXT, you can conveniently visualize real time sales software, how your leads are progressing through your sales pipeline, and make sure that no potential opportunities fall through the cracks. What does Lead Management do? 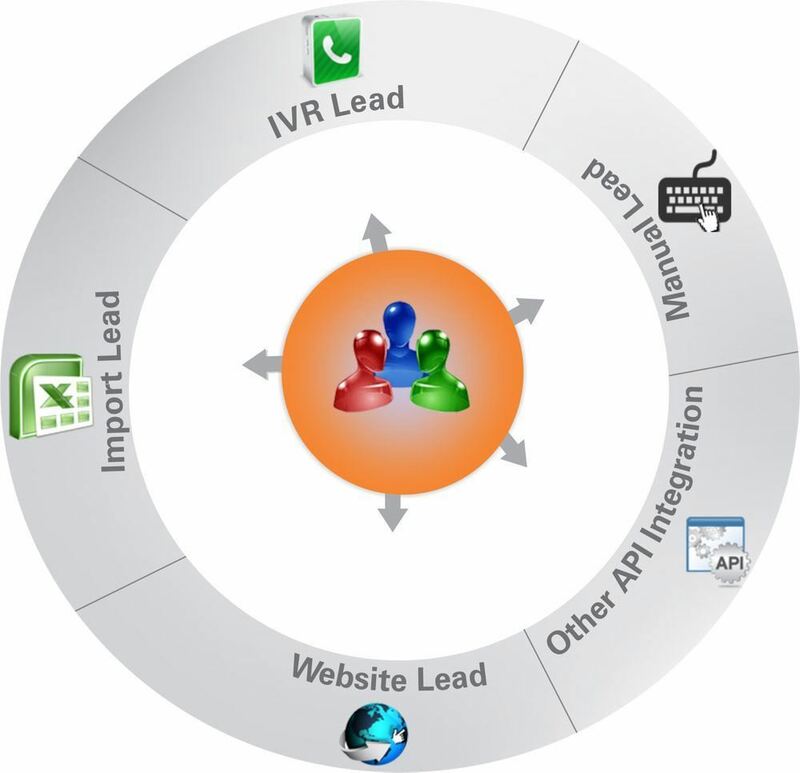 Leads Management software allows you to essentially track, maintain, and push leads through a pre-defined process. From the time the lead enters your LeadNXT Software system, all its details are captured like- physical location, contact details, names, where the lead originally came from and more. This lead then becomes subject to a specific process which you can define within your organization for the lead- it may go to a pre-qualified who will then hand it off to a senior representative to close. Or it may go into an incubation cycle for a period of time you specify. Think for the best possible way to manage your lead, LeadNXT is there to do that for its customers. At present, we have come forward with lead management solutions for Lead Management in Telemarketing, Automotive and Trade Show. With our Product let us work for you! How are leads brought into LeadNXT? Leads can be entered into LeadNXT via different methods. The LeadNXT product is one of the most in demand tool (see below for information). It also enables you to mass-import leads from a spreadsheet, generates leads manually in the system, and capture leads from campaigns, emails and more! What is the LeadNXT Web-Capture Tool, and how can it help with my Leads Management process? The LeadNXT product allows you to build a customized form to place on your corporate web site,where a potential customer can fill in pre-set information which is then secured and saved in your account. It is automated to assign to a representative based on your Lead Management routing tools, and works 24 hours a day; even when you're not. How can LeadNXT's Lead Management Software ( Sales Tracking Software ) increase my revenues? 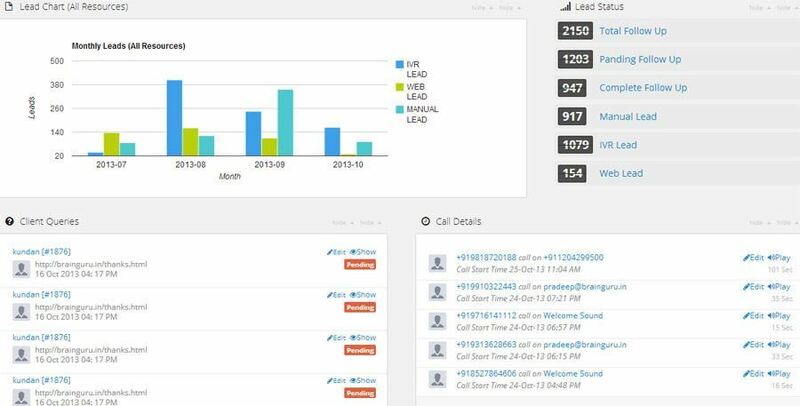 LeadNXT( Sales Tracking Software ) can offer your revenues a drastic rise through many ways, in coordination with the rest of the LeadNXT On Demand hosted online web based CRM software and web-based SFA system. Lead Management benefits to boost productivity of your sales representatives by making your sales process automated and keeping Leads properly organized - freeing up their valuable time to close more deals. It also ensures that a Lead is never lost, as LeadNXT captures all your Lead data so none of them ever slip through the cracks. What happens when I convert a Lead? Transforming a Lead is necessary like promoting it ahead in your Sales Process. 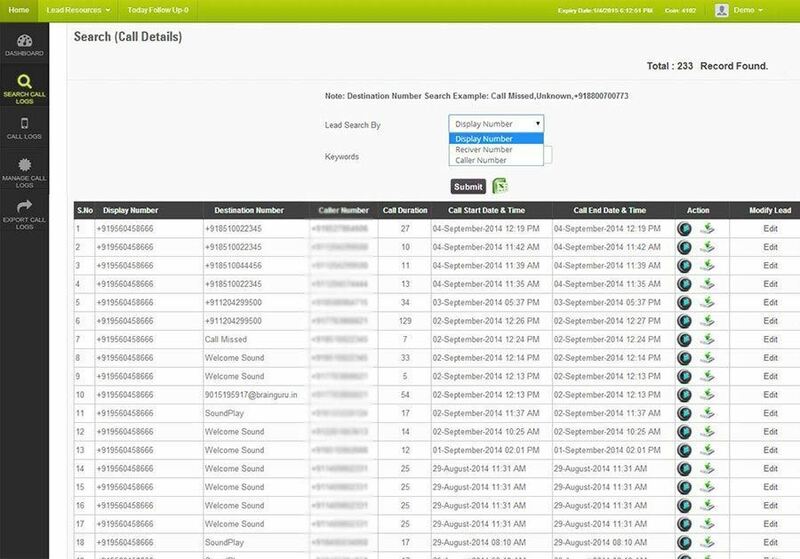 It splits the Lead into a Contact (person) and Account (company), so that you can manage and keep track of multiple contacts within a company. This also allows a sales convenience to be conjoined with the account, which benefits in your revenue forecasting. Typically, this step is completed only when a sale can be quantified - either by a closing date or a dollar amount. My sales cycle is very distinctive - is LeadNXT flexible enough to support the refinements of my small business? Definitely! LeadNXT is flexible enough to mold around any refinements in your sales process. Irrespective of what the unique circumstances are - whether its certain types of information you need to store, a exclusive period of incubation time that each prospect needs to sit through, or anything else you can imagine, LeadNXT can comply to your processes. If you need help finding out how LeadNXT can work for you or any other assistance, feel free to contact us! LeadNXT Lead Management Software ( Sales Tracking Software ) sounds like the perfect tool for my small business! How do I get started? Easy! Take the Free CRM Software 30 Day Trial immediately and start entitling your business with LeadNXT Lead Management Software ( Sales Tracking Software ). It's completely risk free. What are you waiting for? Sign up now, or contact us for more information!